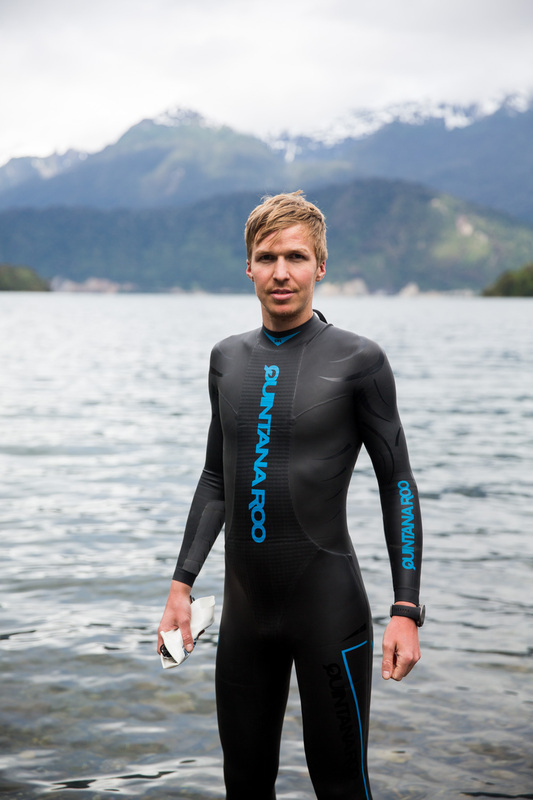 I am a Quintana Roo ambassador and sponsored by their Norwegian retailer JBS Sport. QR was the first company ever make a triathlon specific wetsuit back in 1987. 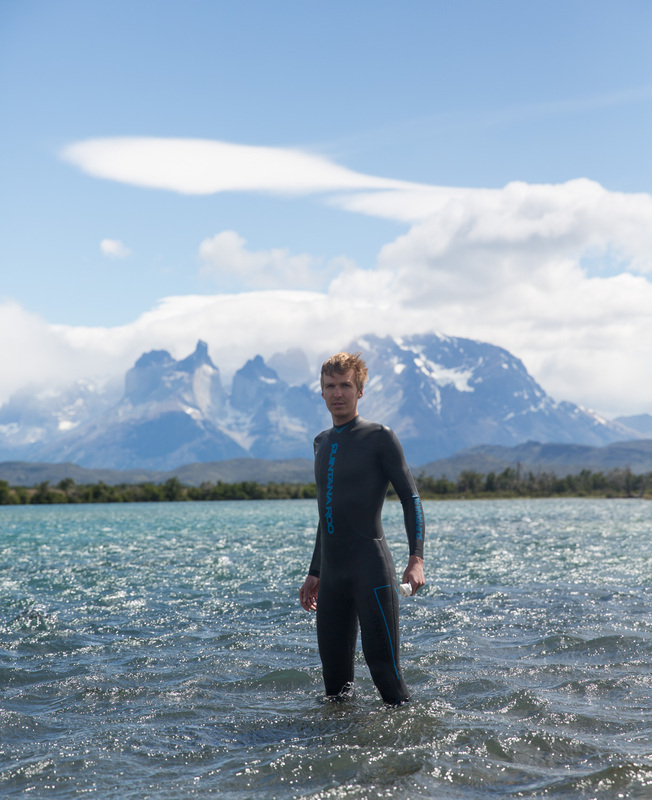 Now they have relaunched their making of wetsuits starting off with the Hydrosix, which I was so lucky to give a try in Patagonman. This is my initial thoughts about the wetsuit. It’s a really comfortable and well-built wetsuit. It was first thought that ran to my mind as I tried it on in my living room. The quality felt solid thru out, it was super flexible around arm and shoulders and the inside was smooth. So far so good, but I knew to bring a brand new wetsuit to a race was a risk. The only time I actually tried the wetsuit in the water before the race was in the 25m pool in Coyhaique the day prior to the race. Its arm and shoulder flexibility was in line with the best I have tried and likewise with the comfort around the neck. The buoyancy in legs, however, was greater than I had tried before. I usually swim with neoprene pants to give a more wetsuit like uplift, but the Hydrosix gave me much more. It nearly felt like it was too much uplift as I struggled to get my legs down for a proper kick. Knowing that pure swimmers with a world-class leg kick get roughly 15 % propulsion from their legs, I estimate that my propulsion from the kick is maybe a few percents. Maybe the very high leg position would not cause me to lose too much. The race would show me the answer. I did not think about the wetsuit for a second during the swim. All my mental focus was on swim technique, sighting and holding the feet in front. I never thought about the comfort, flexibility or buoyancy in the legs. In regards to the wetsuit, that is a good thing. 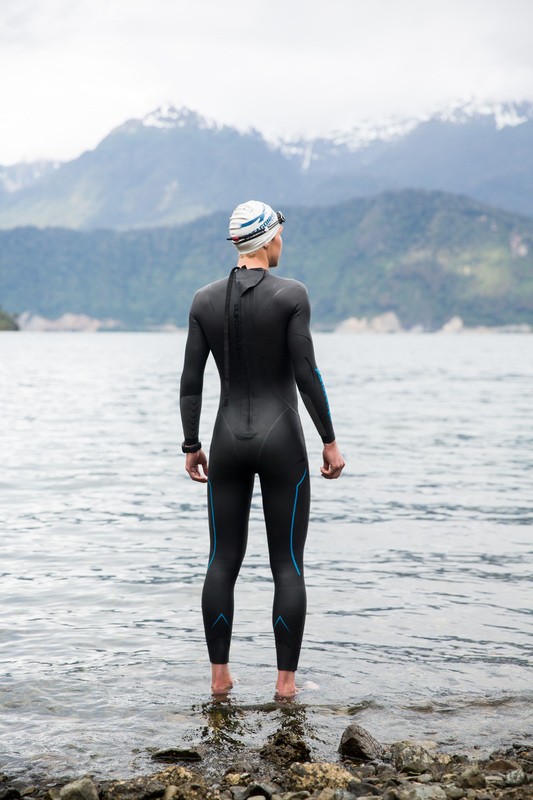 The times I have been thinking about the wetsuit during a race was due to chafing in the neck or restrictions around the shoulders. My focus during the swim was only on swimming as fast and economical as possible. 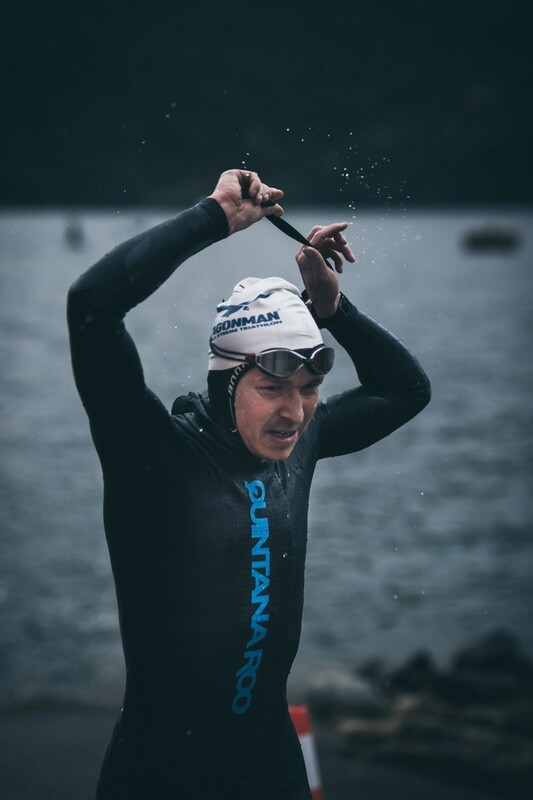 My previous best swim was Norseman 2018 with a time of 54:36, only 5:30 behind very good swimmers as Harry Wiltshire and Eirik Ravnan. I have done faster swims but not under close to neutral conditions. I have usually been a 57-58 min swimmer, and later in 2018, I raced Ironman Barcelona with a disappointing swim. The time of 55:30 was not bad, but the course was too short and it left me 10 minutes behind the leader. In Patagonman I believe the length was legit and the conditions close to neutral with small waves. I came up from the water as the fourth guy, just behind second and third with a time of 51:01, and only 3,5 minutes behind the very good swimmer Mauricio Mendez. It was a break thru swim performance for me. Previously I have accepted that I would never be a front pack swimmer, as I started with triathlon at the age of 23 with absolutely no swimming abilities. I found it extremely hard to progress after swimming sub 60min at 3800m, despite trying «everything». I know I still have a long way to go swim to become a front pack swimmer, but now I know it is possible. How much of my progress is due to the new wetsuit is difficult (read: impossible) to quantify accurately, but I have no doubt that the QR Hydrosix the fastest wetsuit I have ever tried. It would not be fair to my previous wetsuit sponsor to say that the Hydrosix is supreme to their options, because it is individual differences in body shapes, swim style and need of buoyancy. Hydrosix is also made in some fewer sizes, seven in total, so I would be certain to find the correct size. And as always, if it does not fit 100 %, it is not the fastest wetsuit. If you’re in the market for a new wetsuit I would recommend having a good look at the QR Hydrosix. QR offers a 14-day money back guarantee which means you can try it before deciding if you are keeping it. The two-year warranty is also a good bonus. I am very satisfied with the QR Hydrosix and impressed with how good they started with their wetsuit relaunch. It will be exciting to see what more is coming from them in that area. After swimming in the cold lake for an hour I got right up in the natural hot spring to heat up. 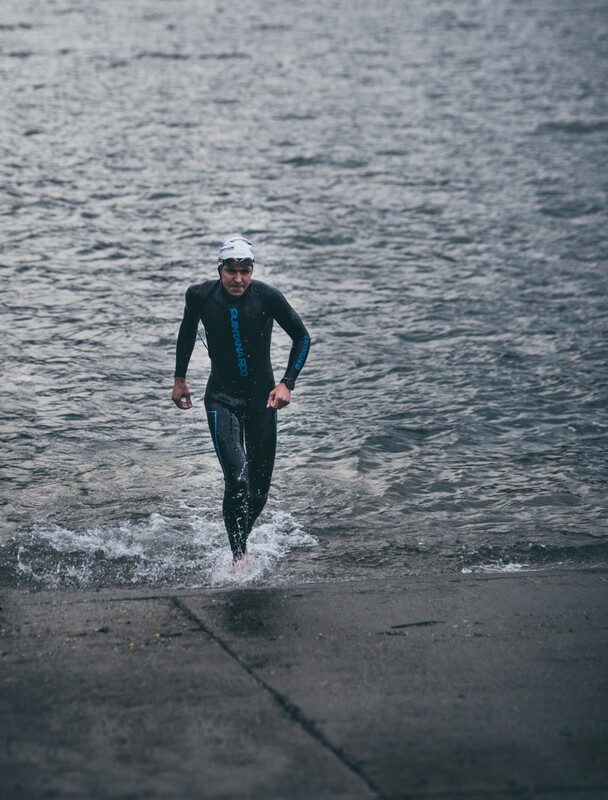 I was floating flat out, which I am not able to do without a wetsuit, feeling the big drops of rain in my face. It was absolutely amazing. 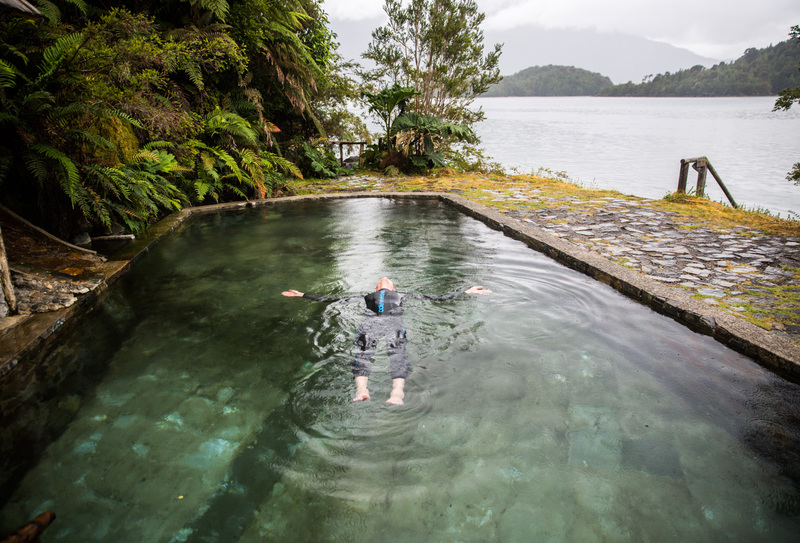 If you ever have a chance, book a few days at the Puyuhuapi spa & lodge, the most relaxing place I have ever been to. In race photos, coming up from my best swim ever with a time of 51:01. The first thing I do when getting up to speed out of the water is to unzip. Then I take of my goggles and swim cap before taking out my arms (leaving my goggles and swim cap in on of the arms) before rolling down the wetsuit to my hips. If I am lucky (read: practised enough) I will have done all this before reaching my bike and are all set up for a speedy transition.